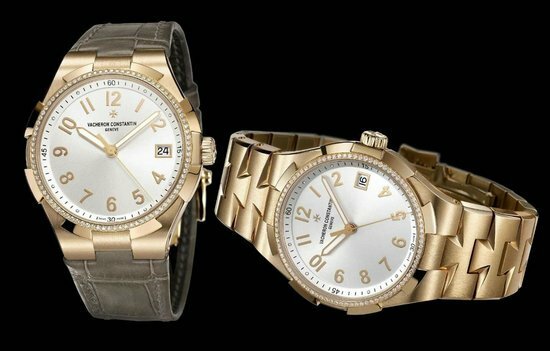 To mark 100th anniversary of their first tonneau-shaped watch (1912), Vacheron Constantin has revisited its Malte collection in a fairly big way at SIHH Geneva 2012. The watchmaker has completely redesigned it and has also developed new tonneau-shaped movement to match, the Caliber 2795. The new case here is sharper and more angular in its form as against the old case which had very smooth arcing sides. They have unveiled four 2012 models, three of which already stand approved in accordance with the new Hallmark of Geneva criteria. 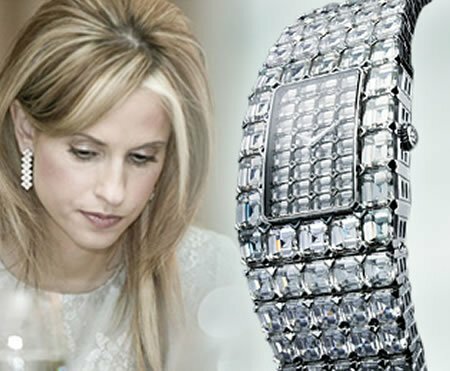 There is Malte Tourbillon, 100th Anniversary Edition, Small Seconds, and finally Lady Quartz watch in the collection, each of which comes with distinct characteristics and is master timepiece in itself. In 1912, eager to make a clean break with the rounded shape of its pocket-watches, and impelled by an avant-garde spirit entirely in keeping with an era of progress, Vacheron Constantin became one of the first watch manufacturers to adopttonneau or barrel-shaped cases. Right from its appearance, it became an emblematic shape that would be associated over the century with the most prestigious horological complications, interpreted in particular through the Malte collection, first introduced in 2000. The celebration of this century of history now provides the Manufacture with an opportunity to redesign its Malte collection and to enrich it with four new models featuring pure, refined lines – four variations that are perfectly classic in terms of their spirit, yet eminently contemporary when it comes to their style. The new Malte Tourbillon, Malte small seconds and Malte Lady are complemented by an anniversary watch issued in a 100-piece limited series and symbolising this century of existence. The few new launches have been designed and crafted to accentuate the fact that the form watch continues to hold a place of its own – one of exclusivity, originality and sophistication – within Fine Watchmaking and to pursue its time-honoured vocation at Vacheron Constantin. This approach to the specific design codes of the Malte collection – which will pave the way for a complete range of interpretations over the coming years – is naturally accompanied by a reflection on mechanical horology and watchmaking craftsmanship. With this in mind, the Vacheron Constantin engineers and movement design engineers have developed a new tonneau-shaped movement moulding the shape of the case. Calibre 2795, entirely developed and crafted in-house, beats at the heart of the Malte tourbillon model and displays the brand’s proven mastery of the world of horological complications. Moreover, the Malte Tourbillon, Malte small seconds and Malte 100th Anniversary Edition are all officially approved as meeting the new criteria of the Hallmark of Geneva – an independent certification of origin as well as a label honouring the technical and aesthetic mastery of Fine Watchmaking expertise. With this new Malte collection, Vacheron Constantin is paying tribute to a century filled with a wealth of tonneau-shaped creations, and celebrates its fundamental values based on classicism, elegance and technical mastery. The new Malte collection celebrating 100 years of the tonneau shape at Vacheron Constantin, simply could not ignore the most iconic of all horological complications: the tourbillon. A perfect embodiment of the expertise of the master-watchmakers of the Manufacture, the tourbillon serves to compensate for the effects of gravity on timepieces. 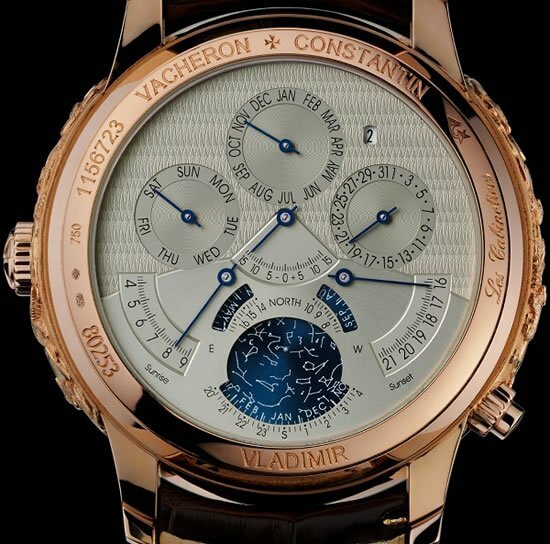 Vacheron Constantin has long since demonstrated its know-how in the field of the tourbillon movement. Often associated with another complications, the tourbillons from the Geneva-based manufacturer reveal remarkable know-how and undeniable audacity. It is in this spirit that Vacheron Constantin offers a new interpretation of this stunning complication in keeping with the classic style and elegance inherent to this anniversary collection. On a pure, restrained dial featuring pink gold hour-markers and Roman numerals for the 6 and 12 o’clock indications, the tourbillon bearing the seconds hand finds its natural place, perfectly integrated within the new and refined lines of the Malte collection. Its positioning at 6 o’clock calls requires slightly offsetting the axis of the hour and minute hands which thereby stand out above their beating heart. The Malte Tourbillon timepiece – the largest in the collection – has a curving 18K pink gold case measuring 38 x 48.2 mm and is fitted with a brown Mississippiensis alligator leather strap complete with Maltese cross-shaped rose gold folding clasp. Such an exceptional watch deserved an equally exceptional movement, and this model is duly equipped with mechanical hand-wound Calibre 2795, comprising 246 parts, beating at a frequency of 2.5 Hz (18,000 vibrations/hour) and endowed with an almost two-day power reserve. This new tonneau-shaped movement – making a perfect fit with the case – is entirely developed and crafted within the Manufacture. The tourbillon carriage is inspired by the brand’s signature Maltese cross, and magnificently showcases the exceptional level of finishing of each movement part, including a number of naturally hand-bevelled interior angles. The rounding off of the tourbillon bar, which always represents a significant technical challenge, calls for over 11 hours of manual work in order to meet the finishing criteria demanded by Vacheron Constantin. Rounding off consists of filing each end of the arms in order to give them a conical or semi-cylindrical shape, while respecting the limits of the centre and the heels. To finalise this operation, the craftsmen rub it down with stones, buffs, wooden pegs and finishing pastes in order to achieve a perfectly polished effect. The Malte Tourbillon model also meets the new criteria of the Hallmark of Geneva. Instated in 1886 by the Grand Council of the Republic and Canton of Geneva, the Hallmark of Geneva is a guarantee of origin, of craftsmanship, of durability and of expertise. This unique quality label has just undergone a fundamental transformation, since the certification no longer concerns the calibre alone, but the timepiece as a whole. This new approach represents a major evolution of this independent certification that has enjoyed the longstanding support of Vacheron Constantin and which has just decided to respond more fully than ever before to the legitimate expectations of an ever more informed clientele. The Malte Collection by Vacheron Constantin, distinguished by its tonneau-shaped models, has always given pride of place to an array of horological complication, encompassing regulator, tourbillon, dual time-zone, moon-phase, power-reserve, chronograph, openworked movement versions. A showcase of the expertise cultivated within the Manufacture, it has been enriched over the years with models that are exceptional in terms of their technical nature as well as their particularly sophisticated architecture. The Malte collection is now welcoming an exceptionally understated model displaying the hours, minutes and small seconds, which for horological purists represents one of the most demanding stylistic exercises. Above and beyond outward appearances and prejudices, creating a pure watch interpreted in its simplest possible expression is an extremely subtle exercise in seeking equilibrium and harmony. Timepieces that fulfil the essential role for which they were originally designed – meaning to tell the time and nothing else – are as complex to make as watches equipped with additional functions, precisely because, as the saying goes, the devil is in the details. Such is certainly the case for this model radiating a rare breed of elegance. The Malte small seconds was born from this wish to offer a traditional timepiece featuring a simplicity equalled only by the refinement of its harmonious curves. 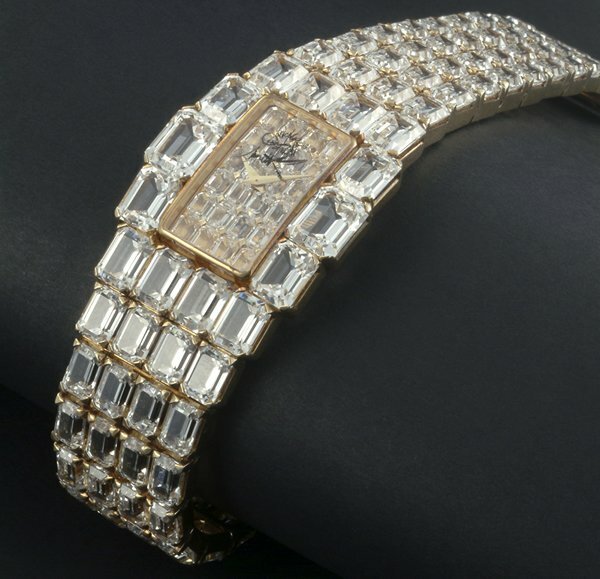 It comes in an 18K pink gold case measuring 36.7 x 47.6 mm. The hour-markers and the 12 and 6 o’clock Roman numerals, also in pink gold, have been redesigned so as to smoothly follow the new curve that has been given to the tonneau-shaped case. The hour and minute hands, as well as the small seconds at 6 o’clock, are all driven by the Vacheron Constantin 4400 AS movement. Acknowledged for the care devoted to ensuring its reliability and for its exceptional level of finishing, it bears the Hallmark of Geneva, the symbol of horological expertise and excellence. The new Malte small seconds model is fitted with a strap in brown Mississippiensis alligator leather, complete with a Malte cross-shaped pink gold buckle. The Malte small seconds also meets the new Hallmark of Geneva criteria. Instated in 1886 by the Grand Council of the Republic and Canton of Geneva, the Hallmark of Geneva is a guarantee of origin, of craftsmanship, of durability and of expertise. This unique quality label has just undergone a fundamental transformation, since the certification no longer concerns the calibre alone, but the timepiece as a whole. 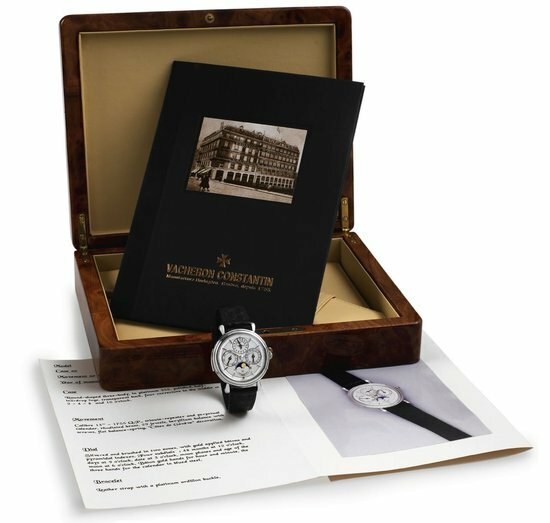 This new approach represents a major evolution of this independent certification that has enjoyed the longstanding support of Vacheron Constantin and which has just decided to respond more fully than ever before to the legitimate expectations of an ever more informed clientele. 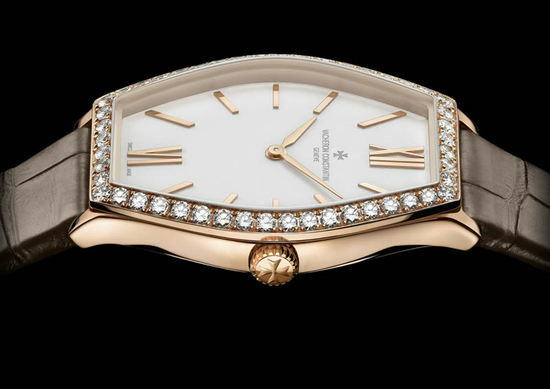 With the Malte Lady, Vacheron Constantin wished to pay tribute to all those with a preference for diminutively sized watches, who are thus treated to the Malte Lady featuring a curving 28.3 x 38.7 mm pink gold case housing a quartz movement, Calibre 1202. Hour-markers along with Roman numerals for the 6 and 12 o’clock indications elegantly accentuate the diamond setting around the bezel, creating a striking contrast between horological classicism and a jewellery sparkle. This elegant and refined gemset watch comes with two strap versions in Mississippiensis alligator leather or satin. 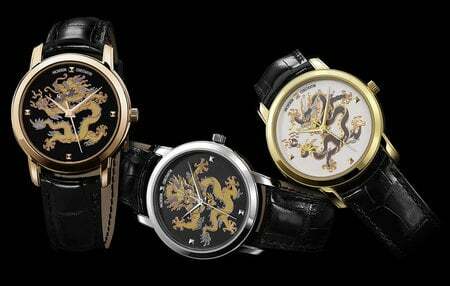 The year 1912 is a milestone date in the history of Vacheron Constantin. The Geneva-based House displayed outstanding inspiration in adopting the tonneau shape for its timepieces – a novel feature in watchmaking history. 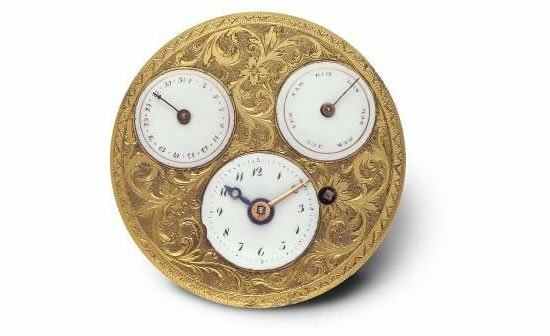 Representing an authentic revolution in the field of horological design codes, almost entirely dominated at the time by the rounded shape typical of pocket watches, this model proved an immediate success among both men and women. It would take several years before form watches would assert themselves as a genuine alternative to classic timepieces, and a means of affirming the resolutely individual personality of their wearer. In celebration of this pioneering spirit, Vacheron Constantin has decided to present the Malte 100th Anniversary Edition model, a hand-wound watch issued in a 100-piece limited series. The case is distinguished by its finesse, by the subtle elegance of its lines, by the curve of its middle section, and by its discreet lugs featuring a delicate shape that accentuates the classicism of a timeless model. 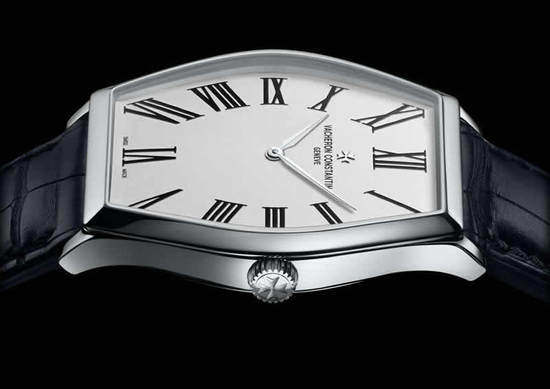 The dial is adorned with painted Roman numerals echoing those on historical models. 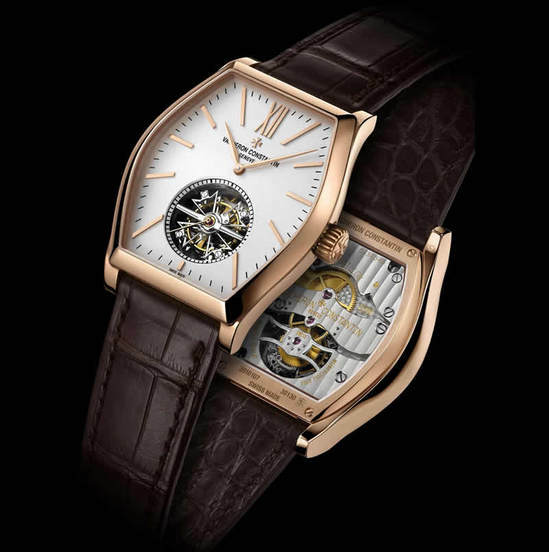 Such a timepiece naturally had to be crafted from the noblest of mateirals, which is why Vacheron Constantin is introducing this anniversary edition in a 36.7 x 47.6 mm case made of 950 platinum – a rare and precious metal cherished by Vacheron Constantin and which emphasises the refined aesthetic of a watch with a delightfully vintage appeal. This Malte 100th Anniversary model is equipped with Vacheron Constantin hand-wound Calibre 4400, driving the hour and minute hands. This movement entirely developed and crafted within the Manufacture, and featuring exceptional finishing, is endowed with a 65-hour power reserve thanks to its large barrel. Beating at a frequency of 4 Hz (28,800 vibrations per hour), it comprises 106 parts and measures a respectable 28.60 mm (12.5’’’), a size ideally suited to the dimensions of contemporary cases. The 100 watches in this Malte 100th Anniversary Edition, each individually numbered on the caseback, are fitted with a strap in blue Mississippiensis alligator leather, secured by a Malte cross-shaped buckle in 950 platinum. 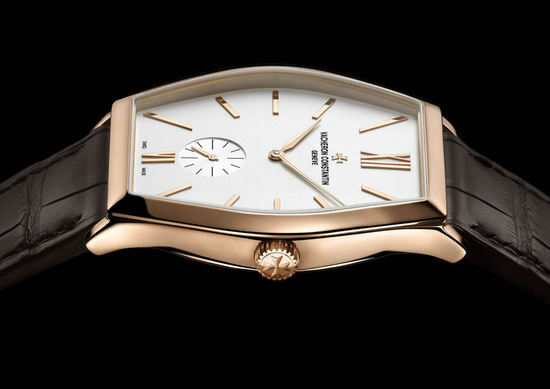 The Malte 100th Anniversary Edition model meets the new requirements of the Hallmark of Geneva. Instated in 1886 by the Grand Council of the Republic and Canton of Geneva, the Hallmark of Geneva is a guarantee of origin, of craftsmanship, of durability and of expertise. This unique quality label has just undergone a fundamental transformation, since the certification no longer concerns the calibre alone, but the timepiece as a whole. 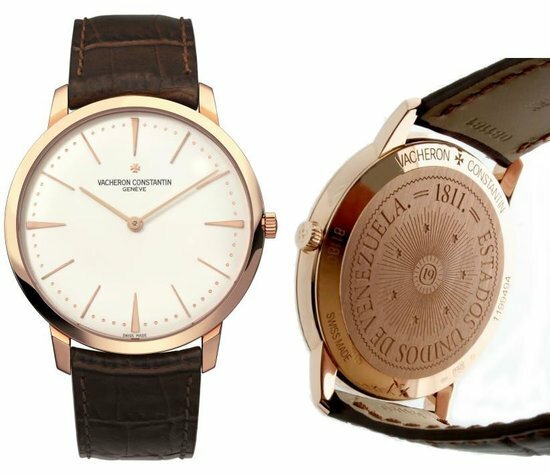 This new approach represents a major evolution of this independent certification that has enjoyed the longstanding support of Vacheron Constantin and which has just decided to respond more fully than ever before to the legitimate expectations of an ever more informed clientele.